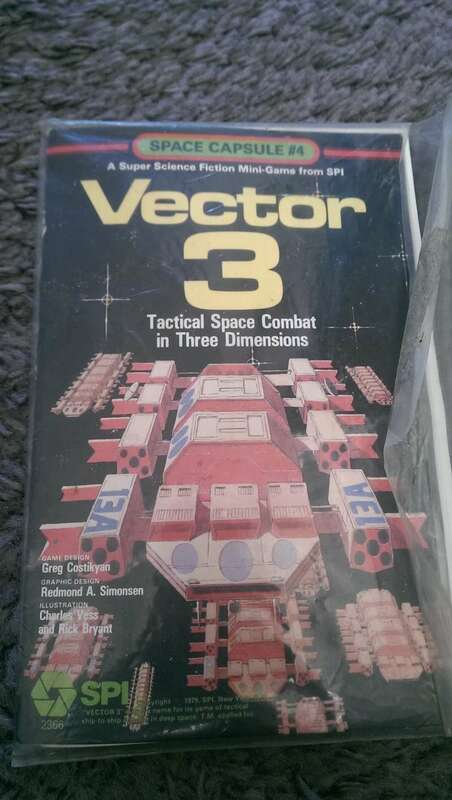 I'm having a bit of a clear out today and I found this, Vector 3 from 1979! Do you think it's worth anything? Ebay is always my point of source on whether things are worth anything. In this case its so rare its not on there - but on the BGG marketplace they are selling for $10. I don't know I've never played it!